This is one of a series of colorfully illustrated comics put out by the Universal Healing Tao System as a fun and entertaining way of finding your own path by working with Universal Healing Tao practices. How do you find what cannot be explained? These Cosmic Comics attempt to find you an idea to explain the unexplainable, the Mystical Tao and its way. In this booklet, the fundamentals of the Tao are simply explained through a series of appealing and entertaining illustrations. You learn exactly what the Tao is and what it is not so that any misconceptions about these Taoist practices are removed. 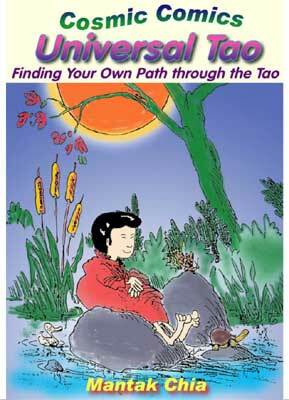 This Cosmic Comics booklet expresses ancient Taoist wisdom in a light, lively and humorous way. In this booklet it transforms and breaks down the barriers of the ancient and the present, the east and the west, assisting the student in lightening up to their own enlightenment.